Lenders Love Your Property’s Income Stream! Read the national article below to learn how to make a Lender “get in the mood” and feel comfortable offering you to best loan to value ratio available! 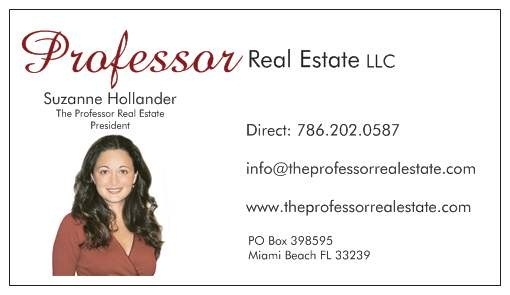 Professor Real Estate Suzanne Hollander’s article is published nationally about how Lender’s love income streams and how they analyze property to determine how much money to lend! Contact me for consulting and real estate/motivational speaking. « Retail Follows Balconies In Urban People-Packed Cities! > Buying Real Property > Learn to “Turn Your Lender on” ….With Your Property’s Income Stream!